Does Arrow’s John Diggle Look Familiar in his New Costume? Why isn’t a domino mask and a hood enough? Arrow usually has it pretty down pat when it comes to costumes. They seem to adhere to the “less is more” rule when it comes to concealing identities. Which is why John Diggle’s new costume for the upcoming season boggles my mind. So they took the most grounded character and gave him a costume that screams “Someone from Image Comics in the mid 90’s created my outfit?” I understand Diggle’s need to conceal his identity to protect his loved ones, but this is one ugly outfit. I don’t think Diggle looks at it as a costume per se. Oliver [Stephen Amell], in the last season, gave him advice in terms of concealing his identity, and so Diggle approaches it from a very practical standpoint. He followed Oliver’s advice and he’s got a means of concealing his identity, but I think Diggle would probably react to anyone calling it a costume. I’m hoping this doesn’t stick around for too long. I’d rather see JD use a green ski mask than what he’s got on in the picture above. 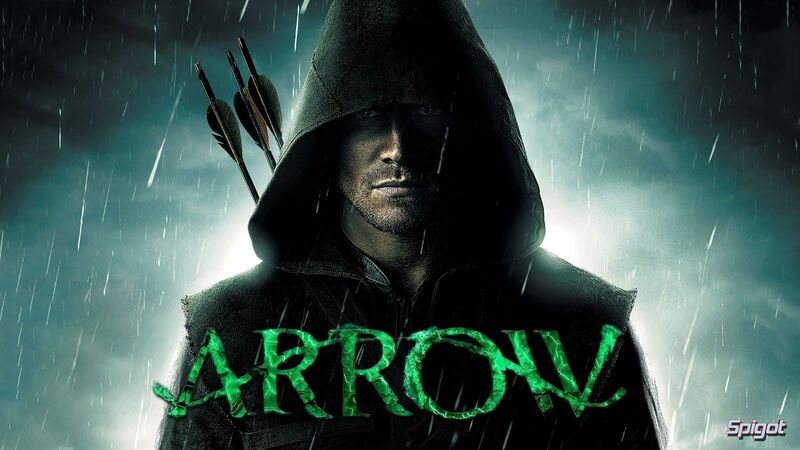 We’ll see what happens when Arrow drops its fourth season premiere on October 7 on the CW Network. This entry was posted in Breaking News, DC, Film and tagged Arrow, CW, DC, John Diggle, Marc Guggenheim. Bookmark the permalink.